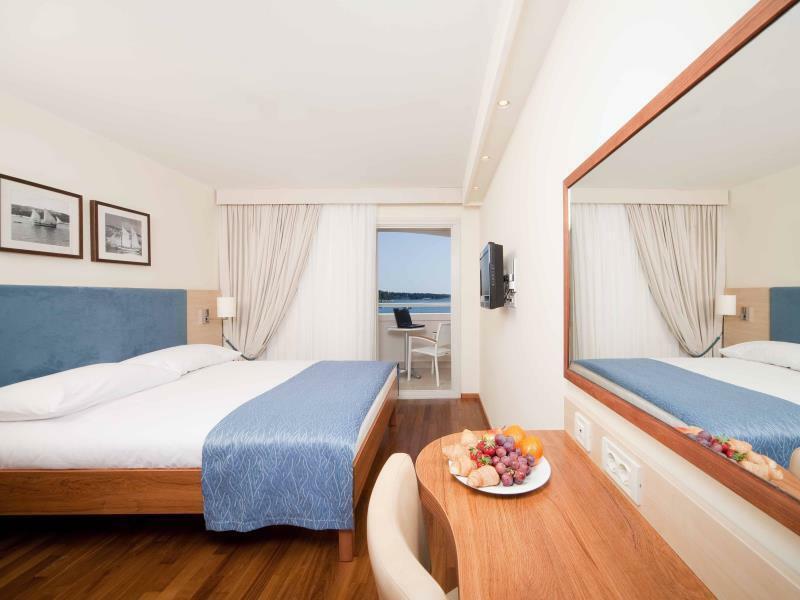 ﻿ Valamar Riviera Hotel & Residence Porec. JIMAT di Agoda.com! Ada soalan mengenai Valamar Riviera Hotel & Residence? Sama ada anda melancong atau ke luar kawasan kerana kerja, Valamar Riviera Hotel & Villa Parentino merupakan pilihan penginapan hebat ketika melawat Porec. Hanya 0.0 km dari pusat bandar, lokasi strategik hotel memastikan tetamu boleh ke mana-mana sahaja dengan cepat dan mudah ke tempat-tempat tarikan. Syurga untuk berehat dan bersantai, hotel ini akan menawarkan pembaharuan penuh hanya beberapa langkah dari pelbagai daya tarikan bandar seperti House of Two Saints, Romanesque House, Pentagonal Tower. Di Valamar Riviera Hotel & Villa Parentino, perkhidmatan yang cemerlang dan kemudahan yang unggul menjadikan penginapan anda tidak dapat dilupakan. Hotel ini menyediakan akses kepada pelbagai perkhidmatan yang luas, termasuklah Wi-Fi percuma semua bilik, pengemasan harian, khidmat tiket, meja depan 24 jam, simpanan bagasi. Semua penginapan bagi tetamu menawarkan kemudahan yang difikirkan dengan teliti bagi memastikan rasa selesa yang sukar ditandingi. Sepanjang hari anda boleh menikmati suasana yang santai dengan pantai peribadi, pusat kecergasan, menyelam, rumah urut, gelanggang tenis. Apapun alasan anda untuk melawat Porec, Valamar Riviera Hotel & Villa Parentino adalah tempat yang sempurna untuk percutian yang menyeronokkan dan menarik. The breakfast was really good. The Dinner was very similar over the Stay and nothing special. The Front Desk was very polite and the rooms are clean. The Beach is really awesome! Room and location great! I had two minor issues. While buffet dinner is served from 7 to 9, it is really necessary to go early because they remove the food, including desserts, at 9 pm. Also, in a move that is environmentally harmful, they serve no tap or filtered water during dinner. You must buy inefficiently bottled water to drink water. My in-laws loved the place. They were upgraded to a suite (as we were) upon arrival. While they took us to another block, it was only ~50 meters away. The rooms were gorgeous and our balcony faced the sea. Staff were very friendly and location was fantastic. We felt that the stay was real value for money - could be due to our room upgrade! On a serious note, we saw our friend's standard room and they were pretty good too. Would definitely come back to Valamar when we are next in Porec. Our stay here was heavenly. Upgraded to the Presidential suite on arrival! Room was impeccable. Staff were quick to service and very polite. Breakfast was OK. Overall great experience. Will definitely be back at Valamar! ocean view,great breakfast, friendly staff incl. valley parking service for only 10 dollars a day. We had one of the nicest rooms of the hotel with a great balcony with ocean view. The locaition was great and the staff friendly. The breakfast buffet was huge. We went there in september so we paid only a fifth of what you would pay in high season which was great value for the money. 1. 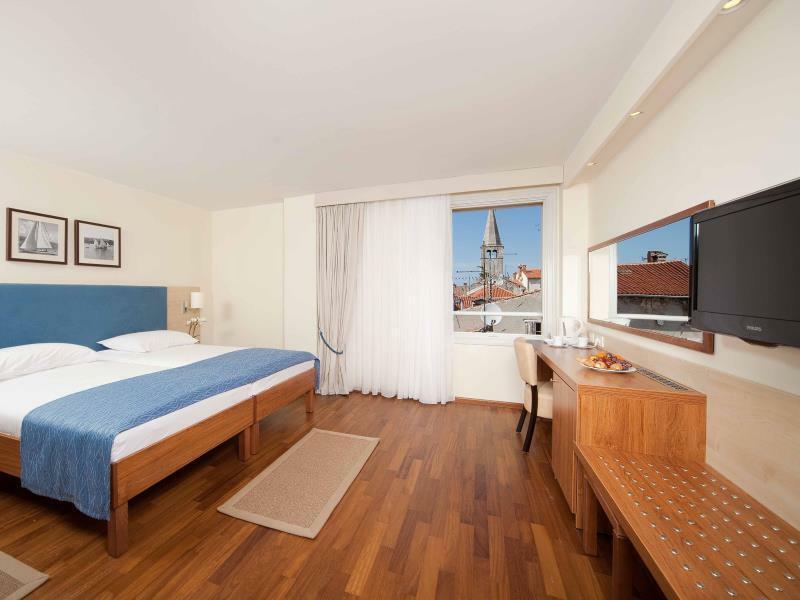 Falsches Zimmer ohne Balkon anstatt mit Balkon wie gebucht. Nach Reklamation sofort eins mit Balkon erhalten. 2. Personal überraschend unfreundlich ausser 2. 3. Zimmerkarte Funktionierte nicht an einem Tag einwandfrei. 5 mal wieder retour zur Rezeption erneuern lassen. Schade. Servicio muy eficiente. Muy buena ubicación. Excelente ubicación, a una distancia del puerto que permite ir andando incluso con maletas. Habitaciones confortables con todos los servicios. Desayuno excelente. Personal extraordinariamente eficiente ya que tuvimos un problema importante al dejarnos documentación y dinero en la caja fuerte de la habitación. La ayuda del personal del hotel fue extraordinaria, a destacar la de la Srta. Marina. L'aspect extérieur de l'hôtel n'est pas agréable, sans gout . Les chambres sur la ville sont très très petites et hors de prix. Les fenêtres sont aussi très très petites ! même dans la "suite" où nous avons été surclassée car nous avons déploré la qualité , la taille et le très mauvais rapport qualité/prix des chambres standard et supérieure. La responsable de l'accueil à été parfaite.Merci encore !La "suite" est de qualité mais d'un prix exorbitant. Très mauvais rapport / prix !! !